Are you a Designer? How building racing drones made me a better designer. I chose building racing drones as I was always fascinated by things that fly since childhood. I was making paper planes when I was in 6th. This childhood experience made me choose drone racing as my hobby. Your hobby could be anything, even music. Before I start, I would like to clarify a few things that might be popping up in your head. The first thing would be, how on earth is building racing drones similar to any design field? Hold onto your horses ladies and gentlemen, welcome to your 5 minute crash course on building racing drones and how building one made me better designer! So, how on earth did I get from this to that? Today, you’re going to learn just that and how it made be a better designer. I believe that you’ll be able to have a few takeaways which you could use to improve your design skills or you might just build a racing drone and we go flying together one day . Racing drones are classified on the basis of the size of props they are designed for. Based on what size racing quad you want to build, your research will help decide on all the parts that you’ll need to build a racing drone. This is where you go to the web and search for “How to build a racing drone?” This will give you loads of blogs with my personal favorite being Oscar Liang. Grab a soldering iron, power up YouTube to look for some drone building video to learn how to build a drone. This will help you stretch another part of your brain that’ll improve your skills as well. And, this is how building racing drones can help you improve your skills. Before I could even get my mind around building one, I had loads of learning and research work ahead of me. As you can see in the image, quite a few electronics are needed to build one which required soldering. Not only did I have no idea about soldering, it was quite intimidating to even get into the hobby as it’s a pretty expensive one (around Rs 50K is required to come up with a decent build). This is where learning is very important as it made me realize that if you badly want to learn something, you’ll make it happen somehow. The beauty of learning anything new is to give back to the community of people who are forever ready to help you in case you run into trouble while building. We have a wonderful community of drone flyers in Chennai where we fly our racing drones every weekend at an undisclosed location around 50 kms away from Chennai. With the help of this community, I could build my drone, fly it with my new friends and have fun at the same time. This sense of bonding gave us an idea to set up Skcript Events where we held our first design meet up to bolster the community to bring people together. This gave us an opportunity to give back to the community. Look how beautiful this piece of machinery is. In order to build this, I had to do loads of digging around on how other drone builders have built their drones. 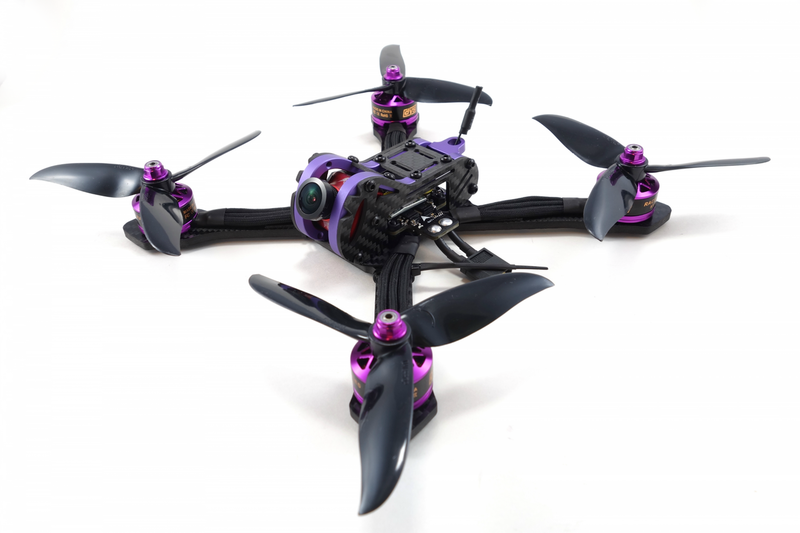 First, you choose the color scheme depending on the style of your racing quadcopter frame. Then, you choose motors that have the colors that’ll work well with your chosen CF frame. The good thing about the drone industry is the unlimited potential to visually customize your drone to however you want to make it look like. This is where 3D printed materials for antenna holders, colored vertical standoffs (the long metal pillars that hold the top and bottom of the frame). After choosing all the visually matching parts of the drone, you put it together and get what you have here. The color scheme you choose for your drone will always make it look better and more pleasing than your competition. So, in order to do just that, what we do is, choose props to match the motors and design decals which reflects the personality of the flyer. All this made me improve my visual design skills. So, there you have it. 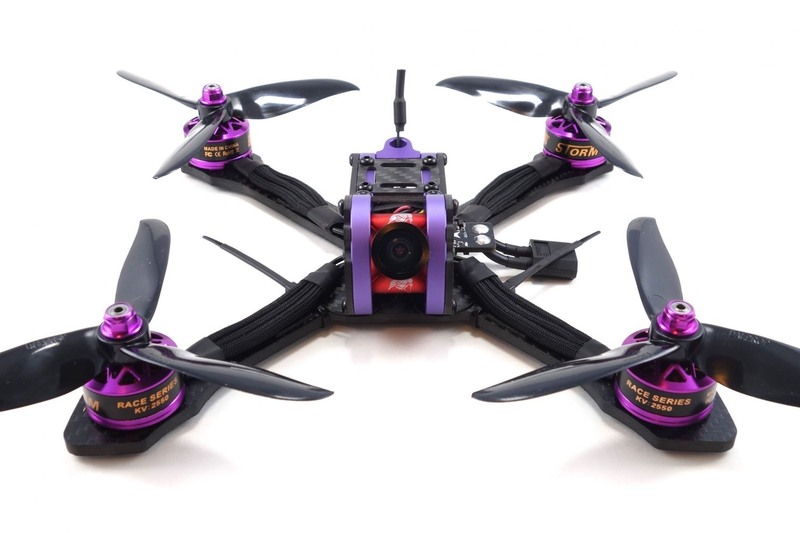 My pet peeve is building racing drones, what’s yours? We’d love to know what you follow that helps you design better! Write to us here and tell us what you think! Until we come back to you with more on design, drones and more, happy designing!